The term “Bitcoin” and the alternative cryptocurrency have been the trend talk of the planet since the decade. You can not leave this cryptographic innovation if you have been a part of the tech industry. 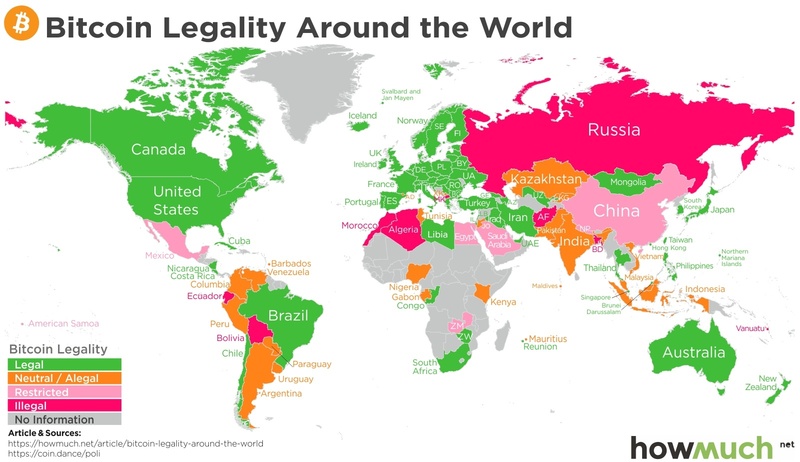 Here in this blog, we are going to tell you what are the countries and its government legally approved the cryptocurrency in their region. From this, we can be very clear that the cryptocurrency is considered to be the legalized there. The US officials confirmed bitcoin as the decentralized currency and can be used in any standard upon the user's opinion. The country has been a pioneer for this virtual currency in 2013. Following this statement, the CFTC recognized bitcoin as the valuable property and implied the taxes for it in September 2015. They have also issued the guidance to use that currency and accepted as a form of payment tool in major online platforms. In mid 2014, the Japanese Government responded to the legal questions regarding the regulation of bitcoins. It implies that there are no laws to restrict the people, legal institutions, financial entities from using and exchanging the bitcoins and other cryptocurrency thought out the country. Later, the payments services act has regulated some of the bitcoin exchanges on the condition that they should keep the record of customers transactions and ensure customer funds. In August 2013, the finance ministry of Germany stated that the bitcoin can be represented as the unit of account which can be used for the tax and trading in the country. And another important rule is that any transactions or purchase made with bitcoin must process VAT as similar to fiat currency. In late 2014, the biggest bank of Brazil discouraged the use of bitcoin and cryptocurrency mainly due to the operational risks. But later in 2017, this statement had been reversed by the central bank of Brazil and now the cryptocurrencies are legal in the country. One of the hubs for financial technology innovations, Turkey has the separate position for the cryptocurrencies. The bitcoin is officially legal and recently blockchain conferences, cryptocurrency starts up meetings are held in the country. The following graph shows that the bitcoin trading volume in localbitcoins is high in spite of the price fall. South Korea has been the home for many bitcoin exchanges like Bithumb,Korbit etc. The people outside of the country are not allowed to use and trade cryptocurrency. But the residents of South Korea can register on exchanges and trade further. The bank and exchanges should be responsible for the transactions and privacy. In short, Vietnam has been identifying the major cryptocurrencies and their use cases like payment tool. It will son or later process the cryptocurrency is a payment tool. The trading of bitcoin and other cryptocurrency is not restricted in the country and there are lots of trade happens in a single day. Malta the central Eco-system for bitcoin and blockchain enterprises. Recently binance has opened its branch operations in Malta legally. The Malta government legally approved the cryptocurrency and its ability to handle, store and process sensitive data in the completely decentralized way. In 2014, Financial Secretary of Hong Kong represented the bitcoin in the council that the Government sanctioned the bitcoins, other cryptocurrencies against the organized and Serious Crimes Ordinance. 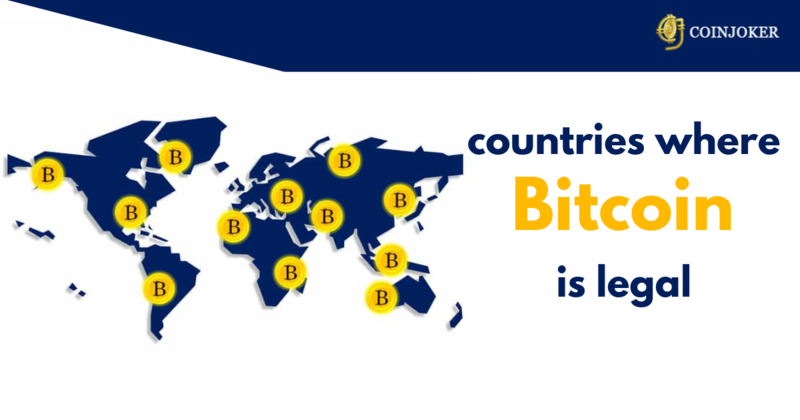 However, the Government is closely watching the usage of bitcoins and its development area. If you are an entrepreneur who wants to start any of crypto startups, blockchain startups in any of these countries, you can Contact Us. We are bitcoin exchange and blockchain development company provide quality-centric, cost-efficient and dynamic exchange software development solutions with the help of creative ideas. Contact us for hybrid bitcoin exchange development.